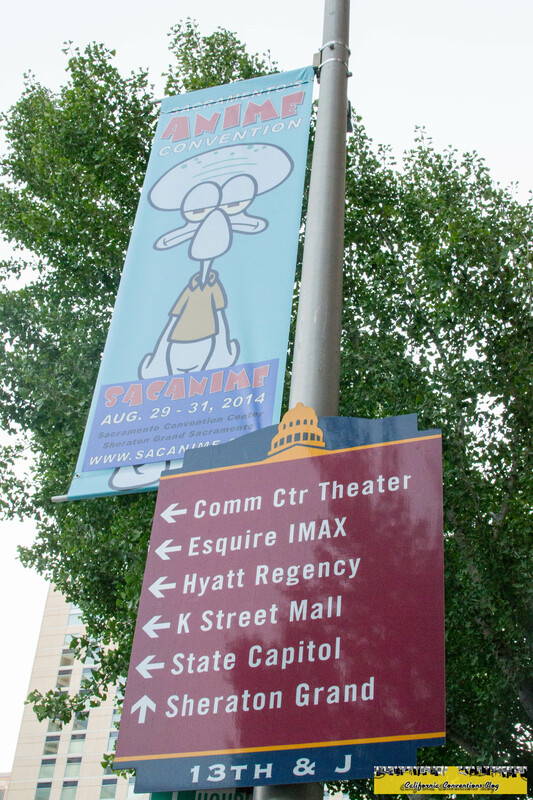 I almost didn't go to SacAnime Summer 2014. The decision to not go but then go again was an 11th hour decision. 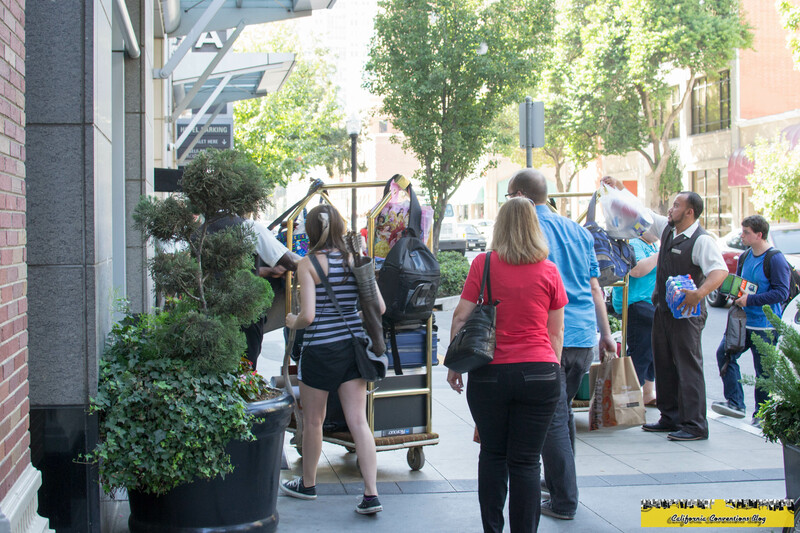 Last summer, I stayed at the Sheraton Grand Hotel Sacramento. I had booked a room for this convention but backed out after the majority of my roommates from that convention couldn't either afford it or had other plans i.e. staffing. This left me with my own room for the entire weekend, so I scrapped that in favor of commuting which wasn't that bad since I lived almost literally down the freeway from this convention. My associate Robbie had went to SacAnime Winter solo and was contacted to do Sac Summer. However, since me, Ray, and Nate did not go, so we were introduced to the Eventbrite system that was in place since Sac Winter. After numerous e-mails and follow-ups, we were all entered into the system days before the convention started. I've never worked with a system like this before and I learned some lessons that day. Everything seemed to be going well, now we just needed this convention to get started. Despite the fact that I knew that I would have to wait until nearly 9pm to pick up my badge, I arrived at the Sheraton Grand around 4pm. 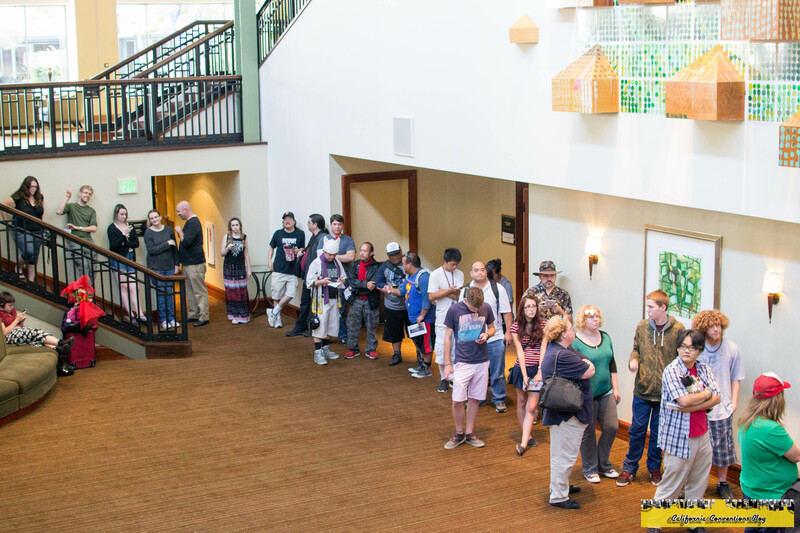 The pre-reg line inside the Sheraton Grand. Attendees checking in on Day Zero. 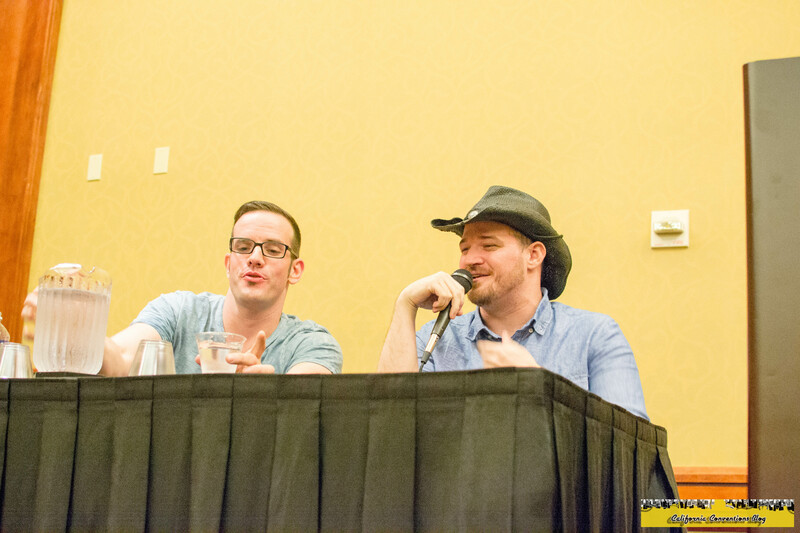 This year, the was a panel on Day Zero - a J Michael Tatum Q&A with special guest Josh Grelle. Most of you know them as Erwin and Armin from Attack on Titan. J Michael on the left, Josh on the right. 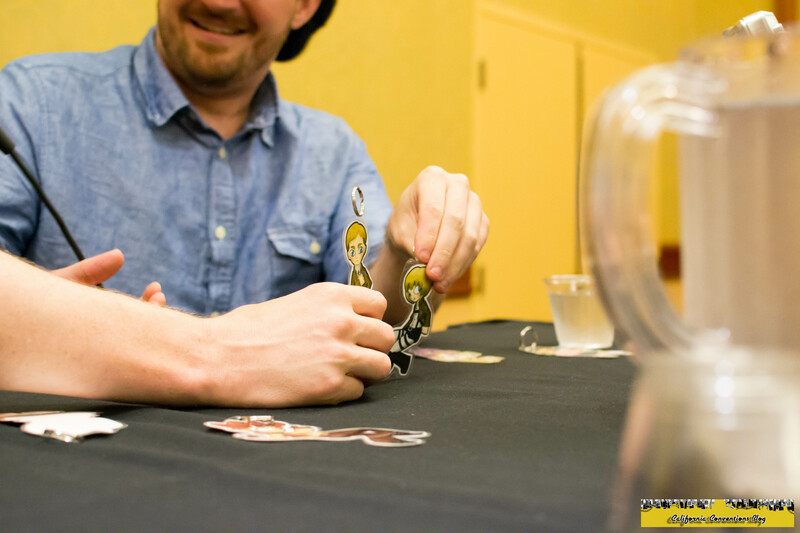 The two having too much fun with their gifts from the fans. By now I had picked up my badge and checked in but the printer wasn't working so I had to get a label with my name on it tomorrow. It was time me for me to go home and sleep solo - something I haven't done for SacAnime in a while.